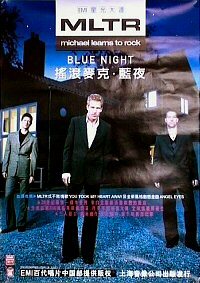 from the release of Blue Night in China. 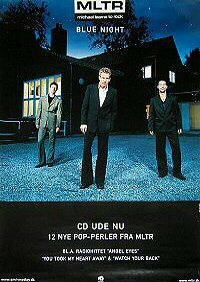 from the release of Blue Night in Denmark. This has not been for sale, but is only a commercial poster for music shops. incl. the radio hits "Angel Eyes"
"You Took My Heart Away" & "Watch Your Back"
Measurements : 60 x 84 cm.